The House has passed by an overwhelming bi-partisan vote of 390-23 legislation creating an on ramp for companies to go public, authorizing crowdfunding, reforming Regulations D and A, and raising the 500-shareholder threshold for private companies and community banks. The Jumpstart Our Business Startups (JOBS) Act, HR 3606, reduces the costs of going public by providing companies with a temporary reprieve from SEC regulations by phasing in certain regulations over a five‐year period, thereby allowing smaller companies to go public sooner. The measure also removes an SEC regulatory ban preventing small businesses from using advertisements to solicit investors. HR 3606 would also remove SEC restrictions that prevent crowdfunding so entrepreneurs can raise equity capital from a large pool of small investors. Moreover, the legislation amends SEC Regulation A, increasing the offering threshold for companies exempted from SEC registration from $5 million to $50 million. The legislation also removes barriers to capital formation for small companies by raising the shareholder registration requirement threshold from 500 to 1,000 shareholders. Similarly, the legislation increases the number of shareholders permitted to invest in a community bank from 500 to 2,000 without triggering SEC filing duties. The House approved a floor amendment offered by Rep. Dave Loebsack (D-Iowa) directing the SEC to provide online information and conduct outreach to inform small and medium sized businesses, women owned businesses, veteran owned businesses, and minority owned businesses of the changes made by the Act. The amendment is designed to ensure that small businesses that may face unique challenges are fully aware of the benefits of the legislation. Meanwhile, Senate Majority Leader Harry Reid (D-NV) said that the Senate will move forward with its own package of legislation to create jobs and streamline how companies sell stock through IPOs. There are a number of companion Senate bills for discrete titles of HR 3606. See discussions below. The Obama Administration has issued a formal Statement of Policy supporting the Jumpstart Our Business Startups (JOBS) Act, HR 3606, which would create an on ramp for companies to go public, authorize crowdfunding, reform Regulations D and A, and raise the 500-shareholder threshold for private companies and community banks. The Act reduces the costs of going public by providing companies with a temporary reprieve from SEC regulations by phasing in certain regulations over a five-year period, thereby allowing smaller companies to go public sooner. The measure also removes an SEC regulatory ban preventing small businesses from using advertisements to solicit investors. HR 3606 would also remove SEC restrictions that prevent crowdfunding so entrepreneurs can raise equity capital from a large pool of small investors. The Administration noted that HR 3606 will help startups and small businesses succeed and create jobs, which is fundamental to having an economy built to last. The President outlined a number of ways to help small businesses grow and become more competitive in his September 8, 2011, address to a Joint Session of Congress on jobs and the economy, as well as in the Startup America Legislative Agenda he sent to the Congress last month. The measure is intended to address the decline in the number of companies entering the U.S. capital markets through IPOs. (House Report No. 112-406). The measure amends the Securities Act and the Securities Exchange Act to establish a new category of issuers known as emerging growth companies which are issuers that have total annual gross revenues of less than $1 billion. An issuer that is an emerging growth company as of the first day of a fiscal year must continue to be deemed such until the last day of the fiscal year during which the issuer had $1 billion in annual gross revenues or more; the last day of the fiscal year following the fifth anniversary of the issuer’s initial public offering date; or the date in which the issuer is deemed to be a large accelerated filer, defined by the SEC as an issuer with more than $700 million in public float. The House approved a floor amendment offered by Rep. Sheila Jackson-Lee (D-TX) adding a requirement that a company would not be considered an emerging growth company if it has issued more than $1 billion in non-convertible debt over the prior three years. In addition, the House approved a floor amendment offered by Rep. Mike McIntyre (R-NC) that would adjust the emerging growth company definition for inflation, resulting in providing more flexibility for businesses. The Act provides temporary regulatory relief to small companies, which encourages them to go public, yet ensures their eventual compliance with regulatory requirements as they grow larger. The measure also would define the initial public offering date as the date of the first sale of common equity securities of an issuer pursuant to an effective registration statement under the Securities Act. Under HR 3606, SEC regulations for emerging growth companies will be phased in over a period of five years or until the company becomes large enough to afford the regulatory costs traditionally associated with going public. This temporary reprieve from costly regulations will allow smaller companies to go public sooner in their life cycle. According to its sponsors, the legislation would apply scaled regulations for emerging growth companies without compromising core investor protections or disclosures. The legislation thus creates a new category of issuers, called emerging growth companies, with annual revenues of less than $1 billion and following the initial public offering, less than $700 million in publicly traded shares. Exemptions for these on ramp status companies would end either after five years, or when the company reached $1 billion in revenue or $700 million in public float. 404(b) of the Sarbanes-Oxley Act until the company is no longer considered an emerging growth company. The exemption from Section 404(b) would delay the hiring of an additional outside auditor to verify the company's internal controls for the five year on ramp period. .Section 404(b) requires the company's auditor to report on and attest to management's assessment of the company's internal controls. as mandated by Section 404(a) of the Sarbanes-Oxley Act, and its chief executive officer and chief financial officer would still have to certify the company’s financial statements. Section 404(a) requires that annual reports filed with the SEC must be accompanied by a statement by company management that management is responsible for creating and maintaining adequate internal controls. In the report, management must also present its assessment of the effectiveness of those controls. In addition, the JOBS Act would only require emerging growth companies to provide audited financial statements for the two years prior to registration rather than three years, thereby saving the companies millions. H.R. 3606 also exempts emerging growth companies from two new corporate governance requirements that were established by the Dodd-Frank Wall Street Reform and Consumer Protection Act. First, emerging growth companies would be exempted from the requirement of Section 951 that public companies hold a non-binding stockholder advisory vote at least once every three years on executive compensation and a shareholder vote on executive severance payments known as golden parachutes.. Second, the bill exempts emerging growth companies from Section 953(b)’s requirement that public companies calculate and disclose the median compensation of all employees compared to the CEO. But note that emerging growth companies would still have to comply with all stock exchange corporate governance and listing requirements, including board member independence rules. H.R. 3606 also improves the flow of information about emerging growth companies to investors by removing burdensome and outdated restrictions on communications between companies, research analysts, and investors. Existing SEC rules prohibit investment banks that underwrite a company’s IPO from publishing research on companies that would be classified as emerging growth companies under the legislation. HR 3606 allows investors to obtain research reports about an emerging growth company before or at the same time as its IPO. The Act, however, maintains other investor protections, such as those set forth in Section 501 of the Sarbanes-Oxley, which address potential conflicts of interest that can arise when analysts recommend equity securities. HR 3606 amends the Securities Act to permit the publication or distribution by a broker or dealer of a research report about an emerging growth company that is the subject of a proposed public offering, even if the broker or dealer is participating or will participate in the offering. 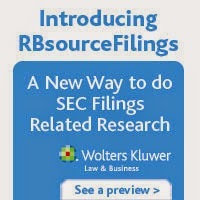 This section also would amend the Securities Act to expand the range of permissible pre-filing communications to sophisticated institutional investors to allow emerging growth companies to determine whether qualified institutional or accredited investors might have an interest in a contemplated securities offering. H.R. 3606 also permits emerging growth companies to gauge the interest in potential IPOs by permitting greater pre-filing communications to institutional and qualified investors to determine whether an IPO is likely to be successful. All of the antifraud provisions of the securities laws still apply, however, and the delivery of a statutory prospectus before securities are sold in an IPO would still be required. Title II of HR 3606 is the Access to Capital for Job Creators Act, authored by Rep. Kevin McCarthy, (R-CA), which would remove the prohibition against general solicitation or advertising on sales of non-publicly traded securities, provided that all purchasers of the securities are accredited investors. The legislation would allow small companies offering securities under Regulation D to utilize advertisements or solicitation to reach investors and obtain capital. The SEC’s ban on solicitation, first adopted in 1982, limits the pool of potential investors and hampers the ability of small companies to raise capital. The SEC is directed to adopt regulations on how an issuer would verify that the purchasers of securities are accredited investors. The legislation is designed to encourage companies to advertise in order to attract additional capital, which will allow them to invest and hire additional employees. Essentially, the measure amends Securities Act Section 4(2) to permit use of public solicitation in connection with private securities offerings. At present, SEC rules, including Rule 506 of Regulation D, create a safe harbor for companies that want to issue private securities to raise an unlimited amount of money from an unlimited number of accredited investors. However, the safe harbor does not permit the use of general solicitation or advertising to market these securities. The legislation requires the SEC to revise Rule 506 to provide that companies can use general solicitation or advertising to market these private securities, provided that all purchasers of the securities are accredited investors. In addition, it directs the SEC to adopt regulations requiring issuers using general solicitation to verify that investors are accredited, rather than rely on investor self-certification, as is currently permitted. The legislation is designed to allow companies to more easily raise capital by removing restrictions on general solicitation and advertising for certain private securities. It fairly balances the need to ease capital formation to spur job creation with a provision to better protect investors by putting greater responsibility on the issuer. The House approved a floor amendment offered by Rep. Patrick McHenry (R-NC) that would, for Rule 506 of Regulation D, provide an exemption from registration as a broker or dealer for trading platforms that do not charge a fee in connection with the purchase or sale of the security or permit general solicitations, general advertisements, or similar or related activities by issuers of such securities. The McHenry Amendment is designed to enable the marketing of private shares to accredited investors through platforms. The House also approved a floor amendment offered by Rep. Kevin McCarthy (R-CA) clarifying that general advertising under the provisions should only apply to Rule 506 of Regulation D offerings, and allowing for general solicitation in the secondary sale of these securities so long as only qualified institutional buyers purchase the securities. The amendment also provides consistency in interpretation that general advertising should not cause these private offerings to be considered public offerings. According to Rep. McCarthy, the amendment ensures that more small businesses can find investors, while providing investor protection. 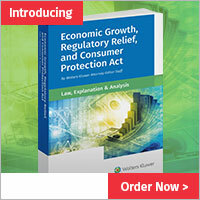 It is designed to ensure that Regulation D Rule 506 meets its original intent. Title III of HR 3606 is the Entrepreneur Access to Capital Act, authored by Rep Patrick McHenry (R-NC), which would allow crowdfunding to finance new businesses by allowing companies to accept and pool donations of up to $1 million, or $2 million in some cases if the company provides investors with audited financial statements., without registering with the SEC. Individual contributions are limited to $10,000 or 10 percent of the investor’s annual income, whichever is less. In addition, the measure would create substantial intermediary requirements or issuer requirements if there is no intermediary. This key mandate for investor protection is one reason the bill has received broad, bipartisan congressional support and support from the Obama Administration. Crowdfunding describes a form of capital raising where, according to SEC Chair Mary Schapiro, groups of people pool money, typically composed of very small individual contributions, to support an effort by others to accomplish a specific goal. The concept of crowdfunding focuses on collective cooperation where investors try to get funding publicly instead of from personal contacts. The network is large, and many investors are often found. growth. [H. Rep. No. 112-262]. Title IV is the Small Company Formation Act, authored by Rep. David Schweikert (R-AZ), which would increase the offering threshold for companies exempted from SEC registration under Regulation A from $5 million to $50 million. The SEC has the authority to raise this threshold but has not done so for almost two decades. Congress believes that amending Regulation A to make it a viable channel for small companies to access capital will permit greater investment in these companies, resulting in economic growth. Currently, Regulation A under the Securities Act provides an exemption from registration for transactions by non-reporting companies of up to $5 million per year. The exemption requires an offering document to be filed with the SEC, which is subject to SEC staff review. The exemption sets forth information requirements that are simpler than those required in registered offerings, including allowing companies to provide the disclosure in a question and answer format, and allows companies to test the waters for interest in their offerings before they incur the full expense of preparing the Regulation A offering document. Unlike the private placement exemption, the Regulation A exemption permits a public offering that is not limited to particular types of investors, and the securities purchased are not transfer- restricted under the Securities Act. Unlike registered offerings, companies that complete Regulation A offerings do not automatically become subject to ongoing reporting under the Exchange Act. Title V of the Act is the Private Company Flexibility and Growth Act, authored by Rep. David Schweikert (R-AZ), which increases the number of shareholders that can invest in a private company from 500 to 2,000, only 500 of which can be non-accredited investors, with 1500 having to be accredited investors as defined by the SEC. Originally, Title V raised the 500-shareholder threshold to 1000. The threshold was raised to 2000 pursuant an amendment offered by Rep. Brad Miller (D-NC). Many small businesses are forced to file as a public company because of regulations that require companies with 500 shareholders and $10 million in assets to file with the SEC. This current shareholder threshold rule was originally adopted in 1964 and has not been modernized since that time. The legislation increases the number of shareholders that can invest in a private company from 500 to 2,000. It also exempts employees from that count. The measure amends Section 12(g) of the Exchange Act to trigger SEC reporting at 2000 shareholders held of record and the definition of held of record would not include securities held by persons who received the securities pursuant to an employee compensation plan in transactions exempted from the registration requirements of Section 5 of the Securities Act. rather than comply with SEC requirements.